Are you addicted to reading the dirt on celebrities? Get a three year subscription to Ok! Magazine for $10 a year at Tanga, when you enter the promo code MYSAVINGS at checkout. The subscription normally costs $179.99, so this promo code will give you a whopping $150 discount. 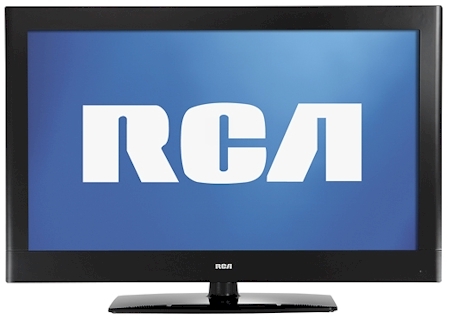 Today, 4/30/12 only, one of Best Buy's Deals of the Day is an RCA 42" Class Plasma 720p, 600Hz HDTV for $299 with free shipping. This television normally sells for $449.99. It got 4 1/2 stars out of 5 over 46 customer reviews. These Best Buy television deals tend to sell out quickly. To sweeten the deal, make sure you take advantage of Best Buy's $10 gift card offer if you purchase this television, but remember that if you do that, you'll need to do a (free) store pickup. Print your coupon for 20% off any regular-priced item at Pier1 Imports here. Coupon expires 5/1/12. Walmart just had a price drop on the Ronco 3000 Showtime Compact Rotisserie. It's currently on sale for $59.00 with free shipping. Though smaller than their regular model, it can cook a 10 lb. turkey, while it still fits into smaller kitchen spaces. We've got a rotisserie, though admittedly, it's a different brand (George Foreman). It makes an incredibly delicious and juicy rotisserie chicken, and most of the fat just drips right off. 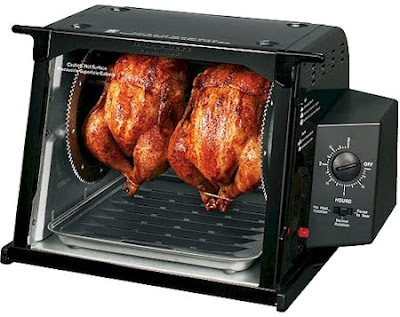 Get the Ronco 3000 Showtime Compact Rotisserie for just $59.00 shipped, from Walmart here. Michaels: 40% off one regularly priced item, 40% off one Wilton baking item, framing coupon. Expires 5/2/12. Joann: 50% off one regularly priced item. Expires 5/5/12. Hobby Lobby: 40% off one regularly priced item. Expires 5/5/12. Here's your reminder that the end of the month is nigh upon us; today is April 30, 2012, which means we can look forward to some new coupons popping up in the changing of the (coupon) guard. It also means that many of your favorite coupons, you know, the ones you've been meaning to print but haven't gotten round to, are going to disappear. If you've got any coupons on Coupons.com, SmartSource, Red Plum, Whole Foods, Target, Betty Crocker, or Cellfire, that you've been eyeing, now is a good time to put paper in the printer. Time to get ready for Shavuot, get the house ready for a change of seasons, take out the grill and outdoor furniture, and wrap up summer vacation plans. Because of the warmer weather, our menus are going to get lighter and include more produce, beverages, less heavy meats and starches, and we'll adjust our shopping accordingly. Coming up are Mother's and Father's Day, and graduations. I love this time of year. Just a reminder that this earring deal ends TODAY, 4/30/12, and then the price zooms back up to $19.99. Have you bought any Mother's Day gifts yet? This is an easy one. Wow wow wow. I absolutely love these uber-pretty Tree of Life earrings from Superjeweler. Their design is unique and eye-catching. 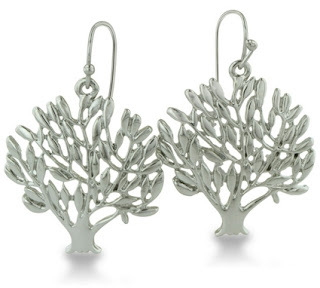 These unusual Tree of Life earrings, normally $29.99, are on sale for $19.99. BUT, when you buy them through this link and enter the special promo code DAILYCHEAPSKATE12, you can get these great earrings for just $7.99! (Clicking through the link should already automatically enter the promo code for you, but if the price comes up as $19.99, enter the code manually and the price should drop.) Shipping is free and there is no limit on the number of earrings you can get at the discounted price. These earrings are made from silver-plated bronze and are lightweight and dangly. At this ridiculously low price, I bought one pair for myself and two pairs set aside as gifts. This special promo code for a $12 discount is good only through today, 4/30/12. Snag these beautiful earrings now. 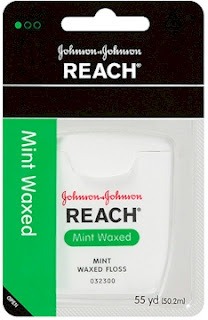 Print this $1 Reach coupon (use your back button to print it twice) and redeem it at your local Target or Walmart store for free dental floss. Reach 55' dental floss is $0.97 at either Target or Walmart, making for a free item. Remember this free workout ball from Fit Studio last year? It's back! You must sign up for Fit Studio as a new membership with a new email address in order to receive your free workout ball (value $12.99). Sign up here and make sure you enter promo code "ball" at signup. Once you've completed signup, check your email and print a coupon for a free workout ball. Bring your coupon into any local Sears (excludes Outlet stores, Hometown stores, Sears Appliance stores) in order to redeem. This offer expires on 5/5/12. 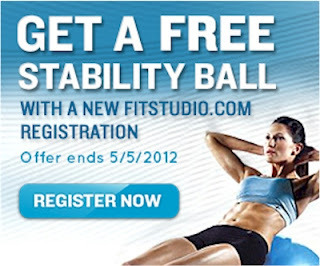 The coupon for the free workout ball must be redeemed no later than 5/31/12. Today's 1SaleADay Flash sale is on memory. 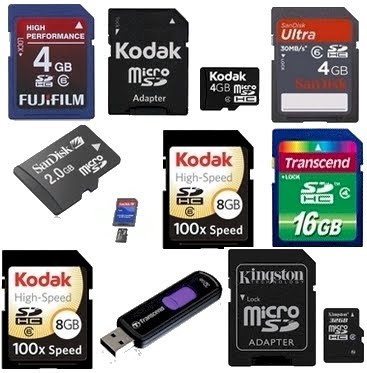 Computer memory, camera memory, flash drives etc. All items in today's Flash Sale have free shipping. Prices are from $3.99 to $64.99. Take a look around and snag some real finds here. Colors: burgundy, purple, sky blue, gold, chocolate, sand, light brown, white, taupe, navy blue, beige, olive, mint, light gray, rust, black, or pink. 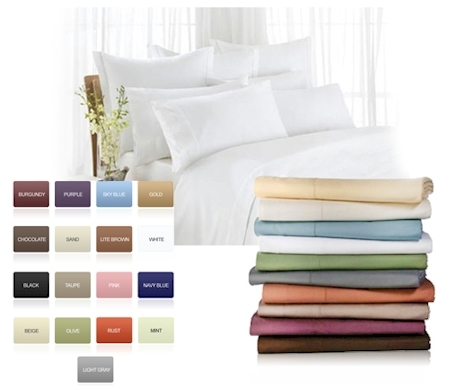 This deal disappears at midnight EST today, 4/30/12, so grab your luxury 1,600 thread-count sheet sets now. 1SaleADay is hitting it out of the park today, 4/30/12. This is the first of three 1SaleADay posts. 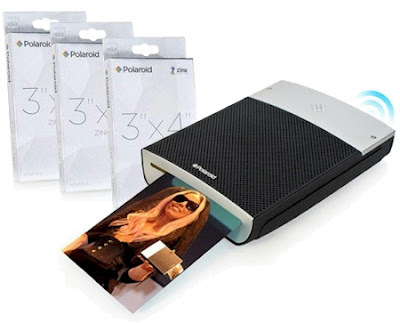 1SaleADay Wireless has the Polaroid Instant 3"x4" Mobile Printer with Zero-Ink (Zink) printing technology, bluetooth printing & a bonus of 30 photo papers for $69.99 plus $4.99 shipping = $74.98 shipped. This 15 oz. 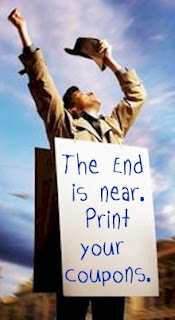 printer works on bleeding-edge technology. Portable photo printer delivers full-bleed borderless images that are dry to the touch. Features automatic image quality optimization with water-resistant, tear-proof, smudge-proof and peel-off prints. Prints 3 x 4-inch borderless color images in under a minute. Wireless-capable Bluetooth hard drive interface; USB 2.0 hard drive interface. For use with digital cameras and select cell phones. Prints without ink using 2nd generation ZINK Zero Ink Printing Technology. Includes 3 bonus 10 packs of paper for 30 full color prints. 3 x 4" full color pictures printed in about 45 seconds. Print borderless (full-bleed), design your own borders, or use one of the classic Polaroid borders. Print wirelessly from a wide range of smart phones including Blackberry, Android and Windows compatible phones via Polaroid apps. Compatible with most PictBridge-enabled digital cameras using USB Connect and print from your PC or MAC using the Polaroid USB application or Bluetooth Rechargeable lithium-ion battery fully-charged can produce 35 prints. Next generation Polaroid instant experience designed in conjunction with Haus of Gaga. Interfaces: USB, PictBridge, Bluetooth, Polaroid app for Windows, Android, Blackberry smartphones. Battery Life: ~ 35 prints Dimensions (width x height x depth): 4.5 x 1 x 5.8"
Fantastic deal. Hard to believe this printer weighs less than a pound. This could revolutionize the kind of technology that you travel with. If you need extra photo paper for this printer, Amazon has got a 30-pack for $16.99 ($0.57 per print) with free Prime or SuperSaver shipping here. 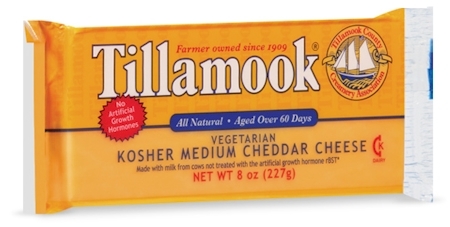 Whole Foods is having a special on the kosher version of the Tillamook kosher medium cheddar cheese. Normally $5.99, it's currently on sale for $3.49. I checked with the manager of one of the Denver Whole Foods and was told it was a regional sale, so YYMV. 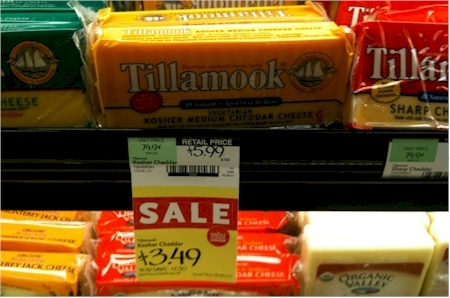 Pair the sale with this Tillamook $1 off any cheese coupon, and you can get the half-pound brick of cheddar for just $2.49, which is a great price for high-end kosher cheese. 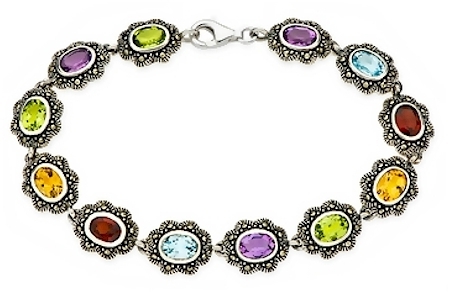 This bracelet contains a whole spectrum of beautifully cut faceted gemstones: 3 peridots, 2 garnets, 2 blue topazes, 2 citrines, 3 amethysts and 96 tiny marcasites, all set in sterling silver. It's 7.5 inches long. Elegant, colorful, dressy, and it matches everything. Get this gorgeous bracelet here. Payless Shoes is running one of their quarterly Buy-One-Get-One-Half-Off sales (BOGOHO). As we've discussed in the past, BOGOHO is the equivalent of 25% off, when both items that you are purchasing are the same price. When the prices differ, the discount drops below 25%, so to get your best value out of any BOGOHO sale, try to choose pairs of items that are the same price. That means that stacking these two discounts is the equivalent of almost 44% off. And a 44% discount is HUGE. You can avoid the shipping charges by selecting the free ship-to-store option. Payless Stores are everywhere. I've found that Payless.com has always had a better selection and more sizes available than an actual Payless store. And if you'd like to return your purchase, you can avoid shipping fees again by bringing it back to a Payless store. 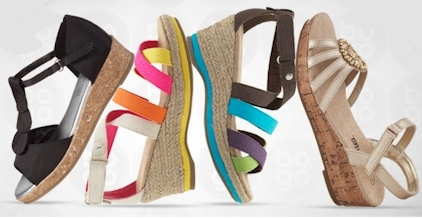 Shop the Payless BOGOHO/25% off sale here. Remember to use promo code 65814 at checkout and to buy pairs of items that are the same price. Also, keep in mind that the extra 25% off is only good through 4/30/12; after that you'll only get a straight BOGOHO discount. 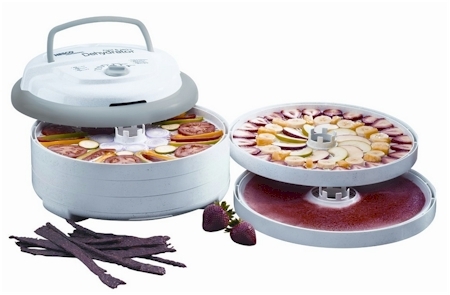 Get a Nesco 700-watt food dehydrator for $59.98 with free shipping here. We actually have a food dehydrator and I love it. I use it to make dried apples, pineapple, bananas, carrots, and spices for me, and dried beef jerky for my husband. I also dehydrated a whole bunch of sliced lemons and limes and use them on Shabbat, when we offer our guests herbal tea. Dunk a dried slice of citrus in hot tea, and it instantly rehydrates it; it makes for wonderful presentation and I don't have to think about keeping fresh lemons around. A food dehydrator is great for when you've got fruits and vegetables that are on their last legs and won't be good in a day or two. Just slice them up, put them on the dehydrator, and come back a few hours later. I thought Joshua was nuts when he first suggested we buy the dehydrator (ten years ago), but we use it so often to salvage produce that is on its way out, it has really turned out to be a frugal purchase. A dehydrator is super-useful 1) if you're facing a long car or plane trip with no refrigeration available 2) if you want to keep healthy snacks in the house (that aren't full of sugar) that will keep for months in the cupboard 3) if you're going camping 4) if you are growing spices and have more on hand than you can use 5) if you're taking a trip abroad and won't have access to kosher meat 6) if you are seriously addicted to dried fruit 7) if you want to try some delicious kosher beef/chicken/turkey jerky without spending a small fortune. A food dehydrator is a great investment. The Nesco 700-watt food dehydrator has got 4 1/2 stars out of 5 over a whopping 544 customer reviews. If you're wondering about the price, Home Depot has it for $69.99, Sears has got it for $225.41 (which is insane), Overstock has it for $71.99, and TigerDirect has it for $73.99. The Amazon price of $59.98 is the lowest price I've seen on this stellar product in a long while. Speaking of beef jerky, here is the recipe I use when I make Joshua this treat. Try it after you purchase the dehydrator. Slice beef into thin strips. Combine remaining ingredients in a large ziplock bag and add meat. Marinade in refrigerator for 24 hours. Lay out beef strips on dehydrator, turn it on and walk away for a few hours (test it and see if it's done). When you return, you'll have delicious strips of beef jerky for a fraction of what it would cost you to buy. Download three free personalized Elmo songs/dialogues for your child. 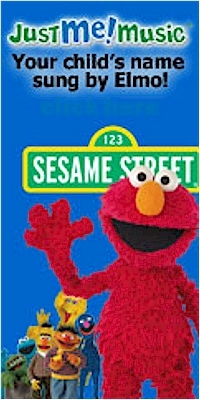 Start here, and enter promo code MYELMO along with your email address, and then click "Download." Select your child's name off the list (if your child's name is not listed, try "Sweetie" instead.) Click on "Next," then "No thanks, I just want my free tracks." Right click on Glad You're Here, Sesame Street Theme Song, and Sing and Dance to download your three personalized songs/dialogues. Design your own mug from Ink Garden, complete with personal photos and artwork, and pay only for the shipping; the mug is free. Shipping starts at $5.99. (The personalized mug normally costs $8.99.) Use promo code FREEMUG at checkout in order to receive the mug for free. Mother's Day is May 13, 2012. I'm just saying. Snag your free mug here. 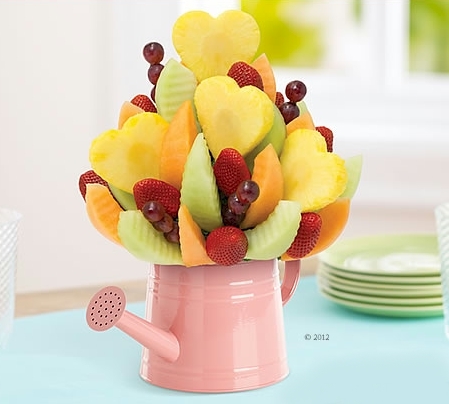 What a great idea for Mother's Day, instead of the same boring bouquet: send an Edible Arrangements gift and get $5 off your order when you enter promo code WISH0103 at checkout. To find a kosher certified Edible Arrangements store, search here on your zip code and look for the words "Kosher Certified." Get a free $10 gift card code when you buy any item(s) totaling $100 or more at BestBuy.com and select free store pick-up. The $10 code will be sent to you 3-5 days after you pick up your order. More details are here. Start here, connect your Amazon and Twitter accounts and allow Amazon to tweet "I just got a $3 credit for Amazon Instant Video for movies and TV shows @amazonvideo. Click http://amzn.to/HeZicl to get yours. #get3" You will instantly receive a $3 Amazon Instant Video credit in your Amazon account. Offer expires on 5/1/12. $3 credit expires on 5/31/12. 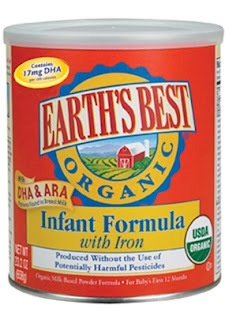 Get a free sample of Earth's Best Organic Infant Formula when you register to get their free once-a-month email newsletter. Log in to the Earthbound Farms site and then print your $0.75 coupon for any Earthbound Farms Organic product here. The link will say that it's for Earthbound Farm Organic blueberries, but the printed coupon will be for any product. Walmart has got 200 thread count twin sheet sets for $15.88, with free ship-to-store (otherwise, shipping is $2.97). Seven different colors/patterns are available: Black, Peace, Zebra, Cheetah, Teal or PurpleBerry. 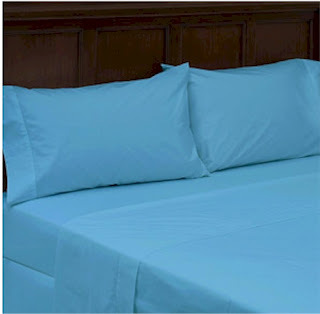 Twin set includes: 1 flat sheet (66" x 96"), 1 fitted sheet (38" x 74" x 12"; fits 12" depth mattress) and 1 pillowcase (20" x 32"). Print your coupon for $1 off a 59 oz. or 89 oz. Simply Orange. If you don't see the coupon, use zip code 62946 and click on the "Beverages" tab. 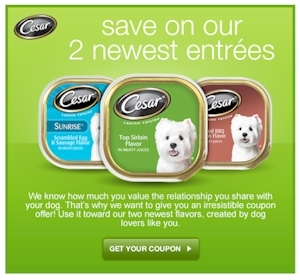 Print your Cesar Canine Cuisine Entree for buy-two-get-one-free coupon here. 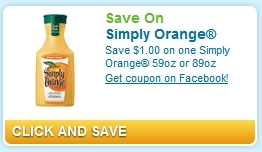 Print your $0.55 Odwalla coupon here. "Like" the coupon and the print button will appear. 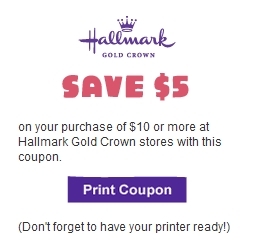 Just in time for Mother Day/Father's Day/Graduation, save $5 off your purchase of $10 or more at a Hallmark Gold Crown store. 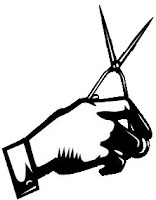 The link is in the upper-right hand corner. Find your local Hallmark Gold Crown store here. Request your free sample of Finish Quantum dishwasher tabs here. You must refer three friends to the sample offer to receive the sample. This ring is simply beautiful. 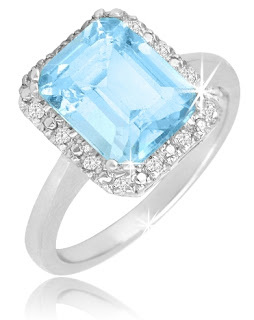 Get this 5-carat blue topaz ring, set in sterling silver with diamonds (1/10 carat TDW) for $34.98 shipped from 1SaleADay Jewelry. Available in whole sizes 5-10. Big wow. Available through midnight EST tonight, 4/26/12. 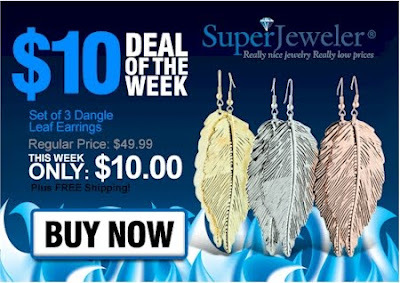 SuperJeweler's $10 Deal of the Week is: three sets of leaf earrings for $10, with free shipping. While you are shopping for jewelry, here are some other choices for Mother's Day gifts at SuperJeweler's, all with free shipping. And you can lower those prices even further when you use the promo code SPOILMOM at checkout and drop the price by another 15%. Mambo Sprouts has got a new coupon for $0.75 off a package of Rudi's organic flatz bread, here. All for $24.99 plus $5.95 s&h = $30.94 shipped. We did the math and determined it was a good deal. What if you could get almost the same deal for about half of the price? All for $9.99 plus $5.95 s&h = $16.94 shipped. Run, don't walk, to snag this deal. Just $16.94 for more than two pounds of high-quality coffee AND a coffeemaker, shipped. (Even if you've already got a coffeemaker, if you've been hankering after a Pesach coffeemaker, this is your deal.) You'll need to sign up for auto-delivery, but you are not obligated to accept auto-delivery to get the free coffeemaker; if you decide you don't want auto-delivery, just cancel immediately after you receive your order. Sometimes saving money requires effort and investment. This is not one of those times. This is one of those no-brainers that's just too easy. FYI, Gevalia offers a huge selection of delicious flavored and unflavored coffees including many kosher ones under OK supervision. BTW, if you ordered the old deal and have not received your order yet, call Gevalia at 1-800-Gevalia (1-800-438-2542), tell them you just saw this new offer, and ask them if you can change to this one. No guarantee, but their customer service has always been very accommodating. Get a free week of HuluPLUS when you click here and sign up. Free offer expires 7 days after signing up; if you wish to continue HuluPLUS after that, $7.99 monthly fees apply. 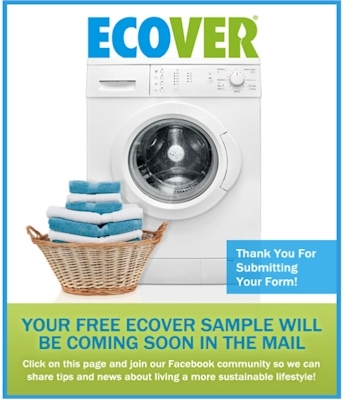 Request your free sample of ECOVER laundry detergent when you click here. 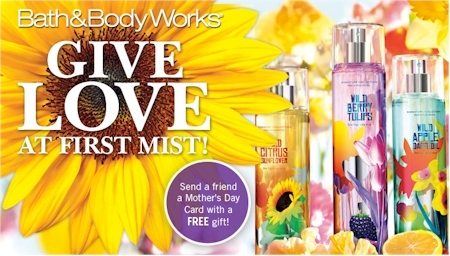 Send a friend on Facebook a Mother's Day card with a free gift: a coupon for a Bath & Body Works Signature Collection Travel-Size item of her choice ($6 value). Get started here. The coupon for the free item expires 4/27/12; in-store only. Amazon has a great deal on a knife block set: get this J.A. 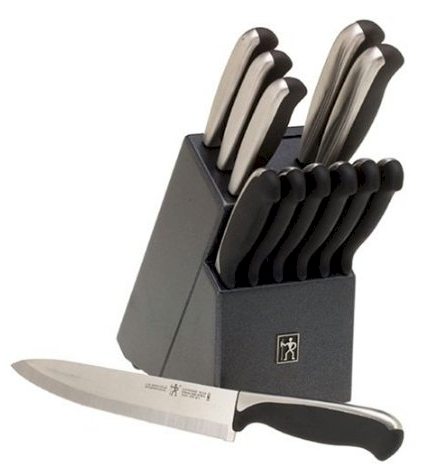 Henckels International Everedge Plus 13-Piece Knife Set for just $44.65 with free shipping. The identical set is at Kohl's for $72.99. Even with a 30% off discount ($51), the Amazon deal is still better. Grab this knife set before Amazon does one of their price swaps. 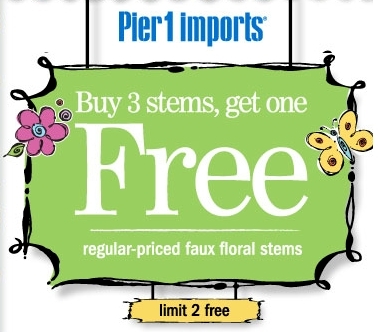 From 4/25/12-4/27/12, you can get 1 free faux stem when you buy 3 faux stems at Pier 1 Imports (in-store). Limit two free stems. 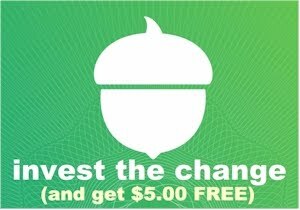 I found some great new coupons on a (new to me) website, Common Kindness, that rewards your favorite charities when you print coupons from the site. When you create your log-in, you'll be asked to select your charities. 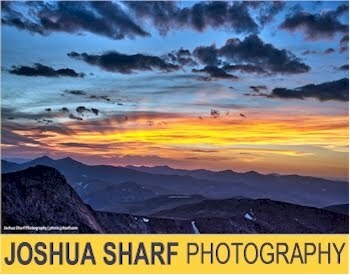 I was able to find my current favorite, Denver Academy of Torah (DAT) on Common Kindness' list, so do look for local charities...you might be surprised. You will be allowed just one coupon print per coupon, but unlike other coupon sites, you can print to a pdf or make multiple copies of favorite coupons. Here are some great, rare coupons that I found on the site. Oh boy, my husband is going to looovvvvve this coupon. 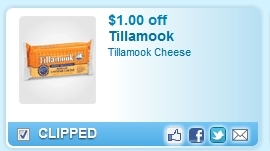 Print your $1 off any Tillamook cheese, any size, any variety, here. Use zip code 75034 and click on the "Foods" tab if you don't see it. Joshua is a bit of a cheese connoisseur. He loves Tillamook's kosher medium cheddar. The 8 oz. brick sells for around $4 in the Denver area, so with this coupon, we'll pay $3. That's some mighty cheap cheese. Get $5 off your $25 purchase at any Sears Outlet store with this coupon (expires 5/2/12). Find a local Sears Outlet store here. 1SaleADay has got a great offer today. 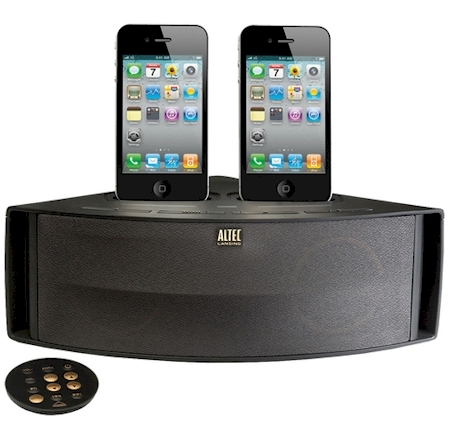 Altec Lansing, which is known for it's high-end audio equipment, has the Octiv Duo Speaker System for iPod & iPhone for just $34.98 shipped. The system comes with with two iPod/iPhone docks which both charge and play the devices, and remote. It also has a USB charging port that can charge other devices. The identical system goes for $115 (crazy!) plus shipping on TigerDirect. Remember, this offer disappears at midnight EST on 4/25/12, so if you want this Duo Speaker System, grab it now. 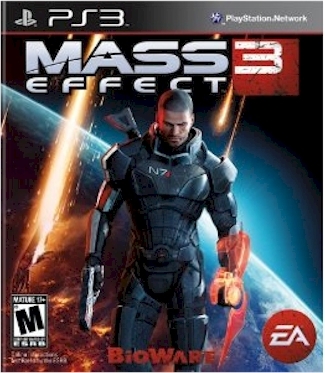 Get the uber-popular game, Mass Effect 3, for just $29.99 with free shipping, from Amazon's Gold Box Deal of the Day for today, 4/24/12. Mass Effect 3 normally sells for $59.99. You can get Mass Effect 3 for Xbox 360, or for PC (Windows 7/Vista/XP) or for Playstation 3 for $29.99 each. This deal expires at the end of the day or until they run out of games, so grab it now. 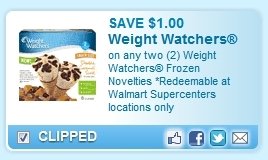 Print this coupon for $1 off 2 Weight Watchers Frozen Novelties. (Redeemable at Walmart only.) If you don't see it in the Foods section, try zip code 77477. 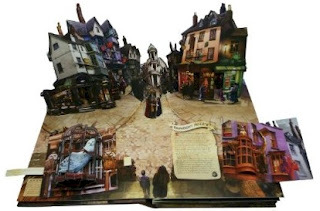 I actually love pop-up books and have a small collection of them. The good ones that have the really intricately cut pop-ups can be very pricey. 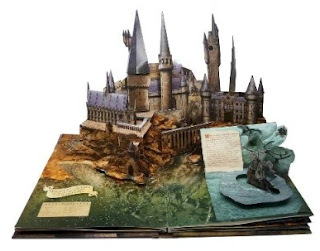 This Harry Potter pop-up book is reduced from $34.95 to just $8.15, with free Prime or SuperSaver ($25 minimum) shipping. 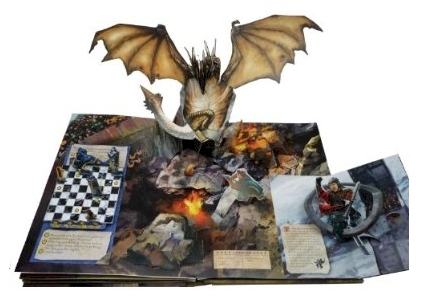 From the pictures and from reading the customer reviews, it looks quite wonderful. 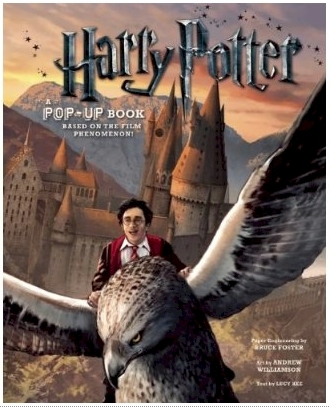 Get Harry Potter: A Pop-Up Book: Based on the Film Phenomenon for just $8.15 here, before Amazon pulls a price-change.